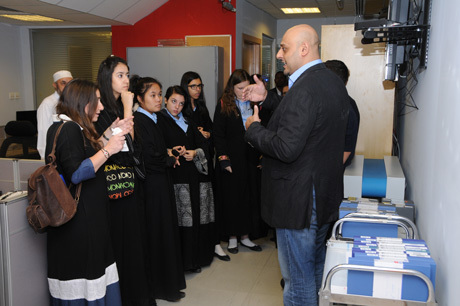 MBC/ARA Riyadh Tech Ops teams up with British School for a tour and lesson about technology in television broadcast. 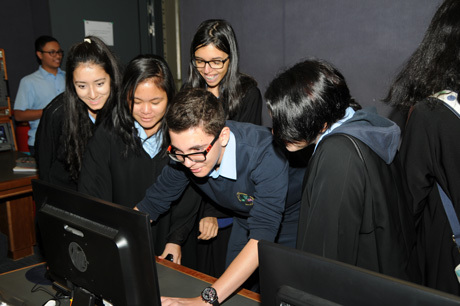 RIYADH, SAUDI ARABIA – In November, the Technical Operations team in Riyadh and the MBC office were host to a younger, more inquisitive crowd from the British School as staff and Year 10 students visited and toured the MBC (ARA) facilities. Led by Mr. Amill Lone, head of the Technical Operations department, the purpose of the visit was to demonstrate the integral role of IT in a media environment. 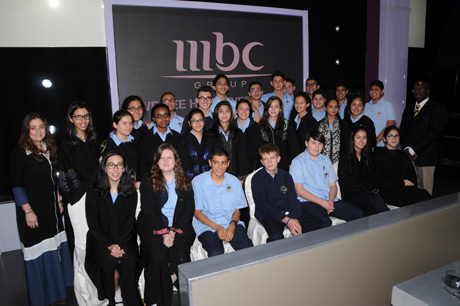 Students were seated in the studio for the popular Saudi TV show Bedoon-shak and Al Thaminah where they received an introduction to the MBC Company, briefly summarizing the company’s growth, followed by a lesson of the network, systems, storage and security aspects of technical operations. Ali Abuyabis, Walid Hussein and Amanda Tafunai also presented, eliciting answers from the students and ensuring an interactive environment. The lesson was followed by a tour of the datacenter, library, MCR and FM studios as well as the gallery. Each component of the tour offered a compelling demonstration of the equipment. 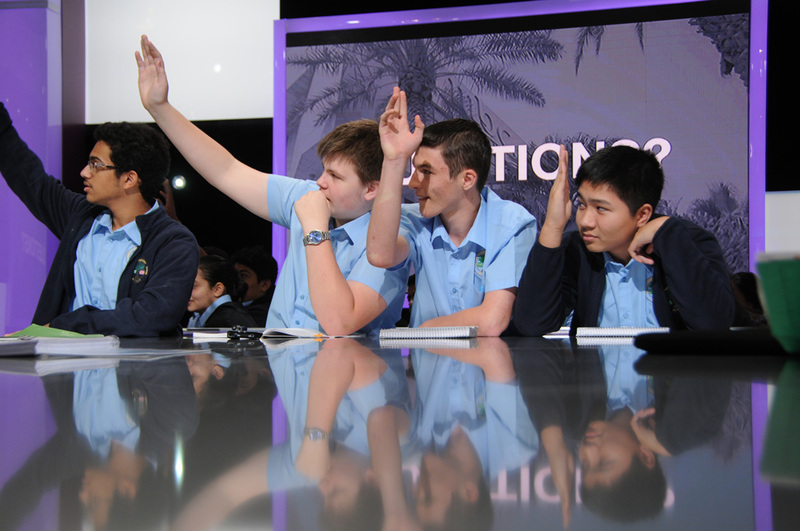 At the conclusion of the visit, many students asked about the age requirements to join MBC. Overall, feedback from the school was incredibly positive and both MBC Riyadh and BIS-R participants had an enjoyable experience.